Thanks to the vast experience attained over the years and the continuous investments in advanced technologies, CMB is a recognized and prestigious company in the market characterized professionalism, high level of organization and excellent quality of its products. Cohidrex is the exclusive distributor of CMB. The wide assortment of equipment combined with customized solutions is available to satisfy even the most complex demand. The products are designed to be long-lived: the components that wear out use HARDOX steels, while the parts and components are subjected to stress and mechanical stress, they are built with WELDOX high tensile strength steels. In addition, CMB chooses electronic and hydraulic components from best brands, ensuring high performance and reliability. 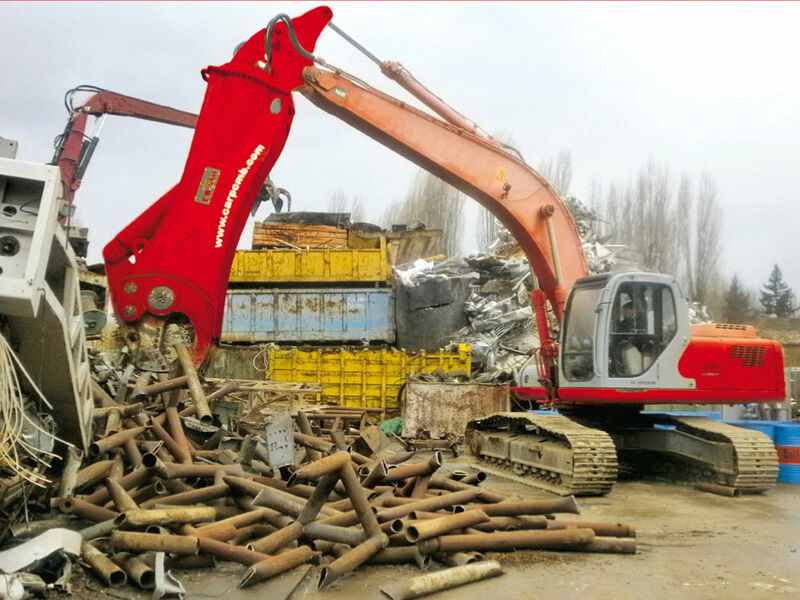 The SM handling grapple are designed to perform the selection and handling of the materials demolished and for the demolition of concrete structures without iron reinforcement. 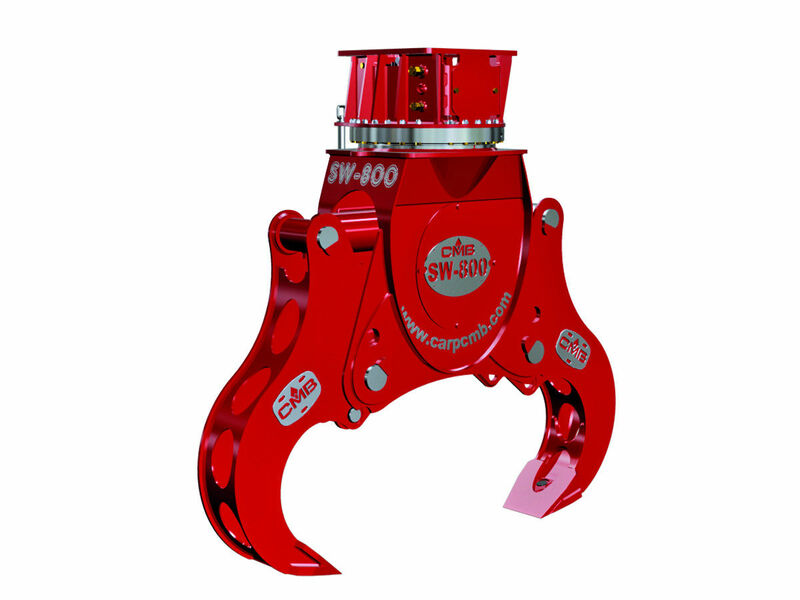 Thanks to the particular conformation, the upper clamping force and especially to the 360 ° hydraulic rotation, the handling grapple of the SM series are also used in the more precarious conditions. Each model in the new range of handling grippers is characterized by reliability and robustness of the structure, built with the most innovative steels to endure over time, even the most demanding workloads. 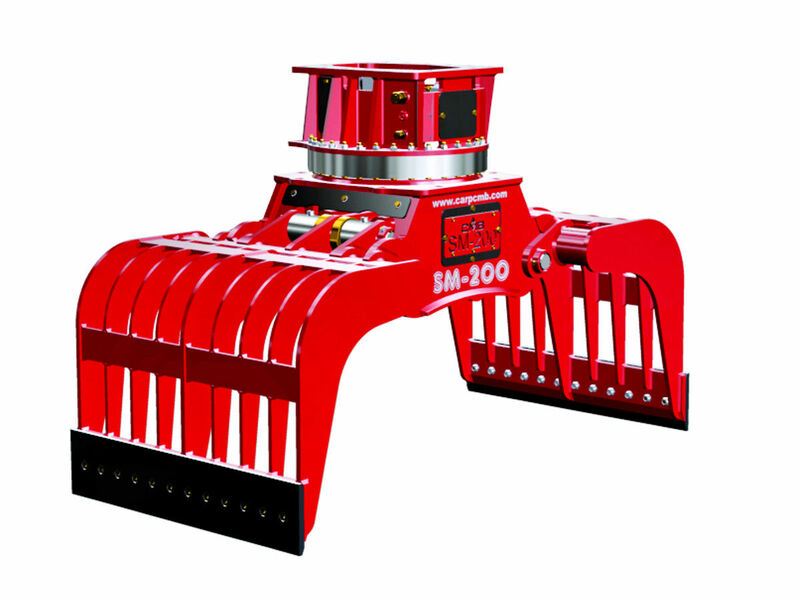 The rotary crusher equipment is designed to address the primary and secondary demolition phases in a precise and fast. 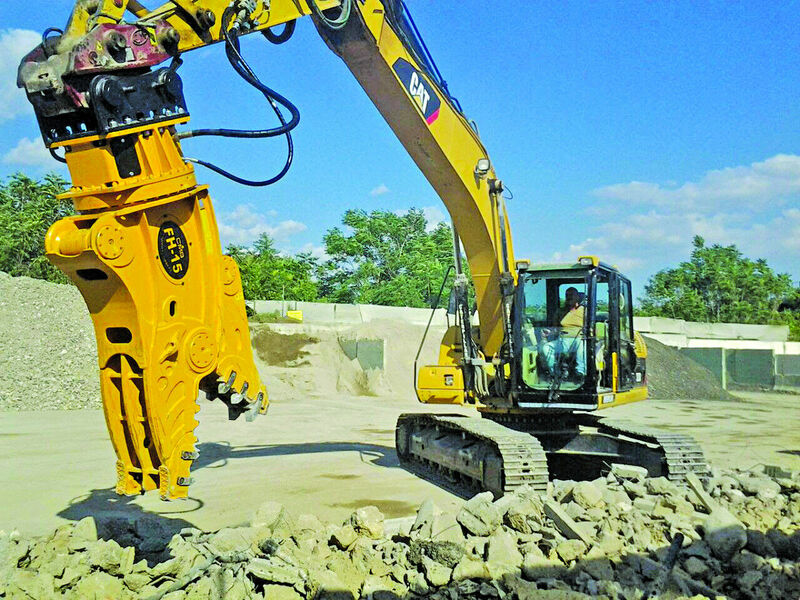 CMB offers a complete range of 7 models for excavators from 8 to 70 tons. The equipment is equipped with an extremely sturdy frame. The cylinder is completely protected from any accidental impacts and is sized so as to guarantee a high tightening force. 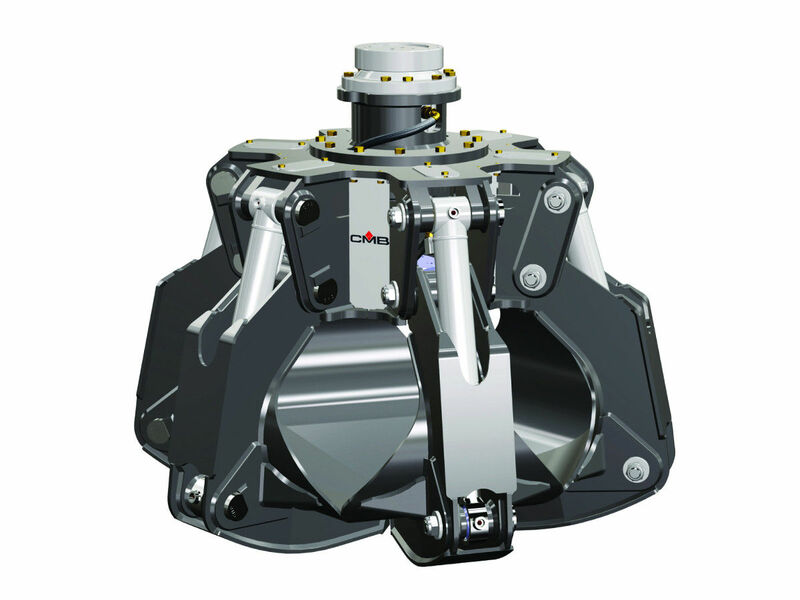 The speed-valve recovers and reuses the oil during discharge, increasing the speed of closure of the jaws. all teeth are interchangeable. 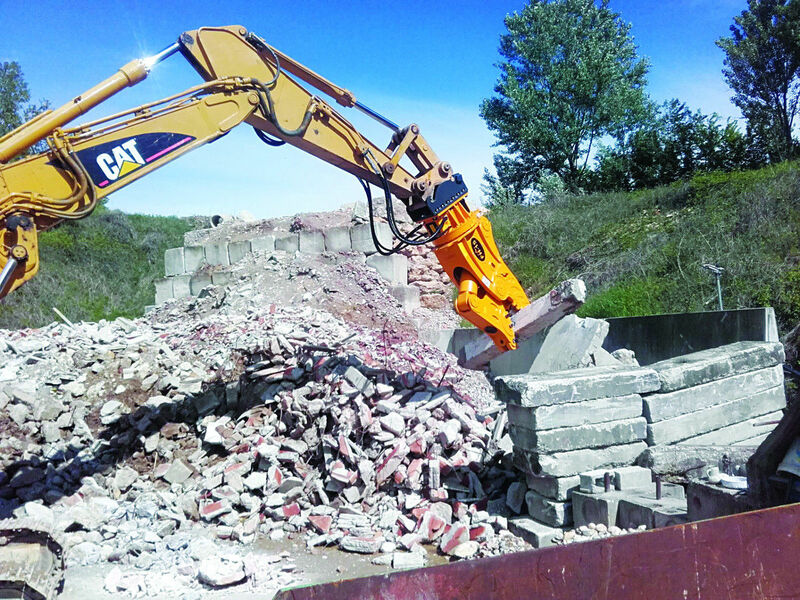 This crusher is particularly indicated for the demolition to the ground of the surrounding walls and of medium height vertical structures, of pavings and slabs, with consequent separation of the armature rod from the concrete. 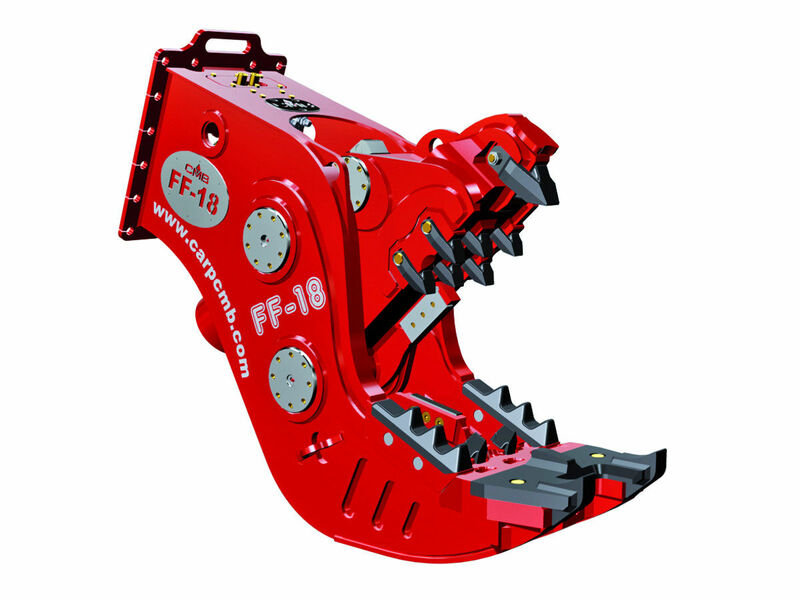 The FF series has a range of 6 fixed crusher models, for excavators from 5 to 52 tons. The strong frame, the fully protected cylinder, the valve and the interchangeable blades require low maintenance and guarantee a high clamping force. 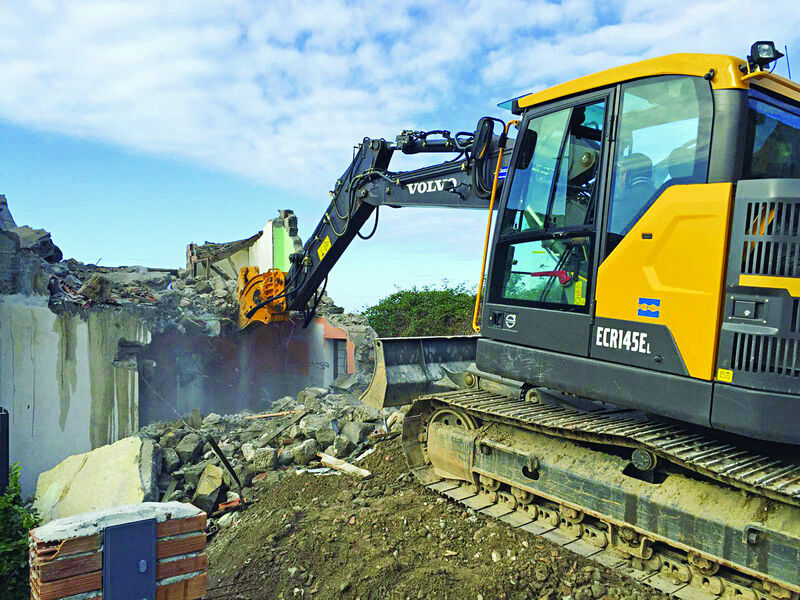 The new shear CR series is able to meet the recycling and selection of ferrous materials requirements and for use in the modern demolition site where it is needed a high shear even at great heights. The equipment is characterized by an extremely robust frame that protects the high performance cylinder from bumps. The shears have interchangeable blades for precision cutting. The blades are also reversible and can be used four times before being replaced. 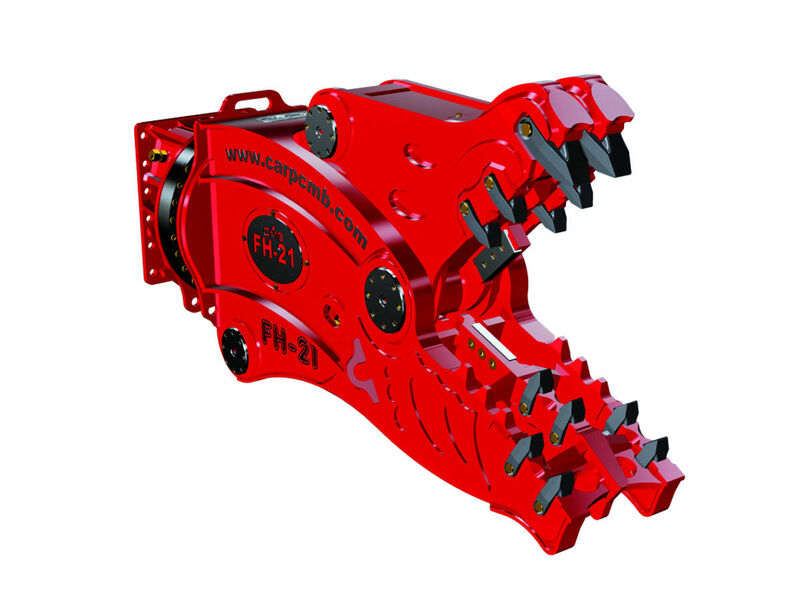 Features include a rapid jaw opening & closing, fast cycle times, massive crushing force and hydraulic cylinders protected well against damage. 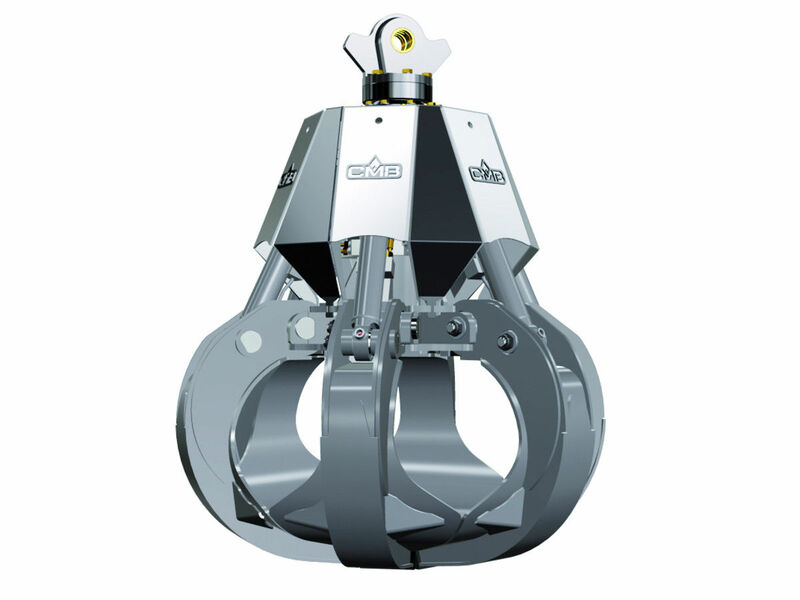 The 360 ° hydraulic rotation ensures a safe and precise positioning of the equipment. In addition, the jaw can be adjusted easily and quickly thanks to a special register that will reduce the spaces, ensuring maximum precision and cutting cleaning. 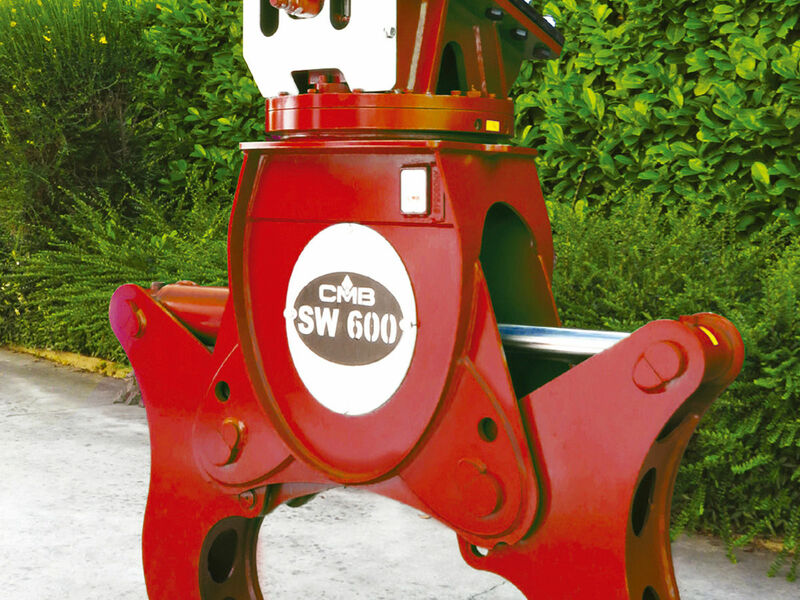 The PW Series is the result of an innovative project that expands the range of CMB equipment in the forestry sector. They are extremely versatile and allow a fast and safe cutting of the trees and the collection of shrubs on flat land, on slopes and in marshy areas. It is also used in maintenance of roadsides and paths. It is particularly suitable for large collection in forest areas. The cutting mechanism is sturdy and the materials used allow to minimize the wear and the maintenance of the equipment. 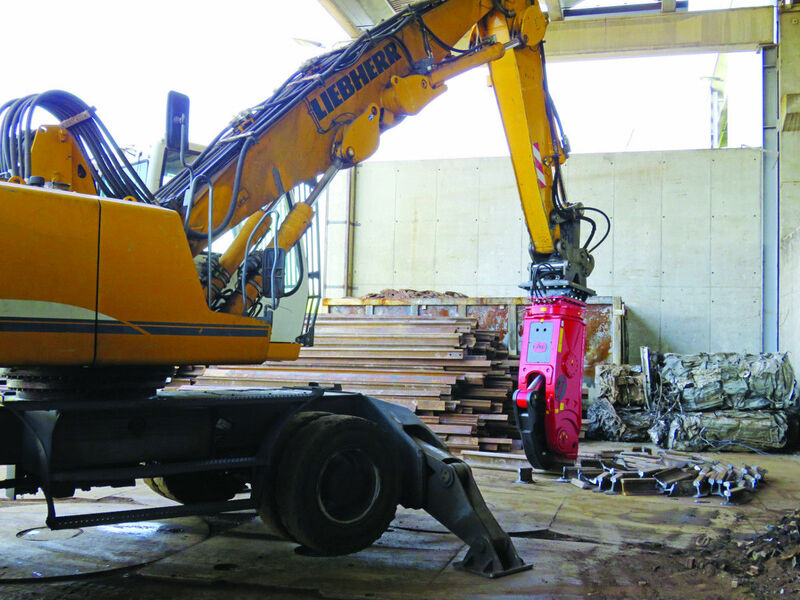 Thanks to the picker arm, the equipment can also be used only for the handling of logs. The replacement of the blade is extremely easy and fast, allowing to minimize machine downtime. 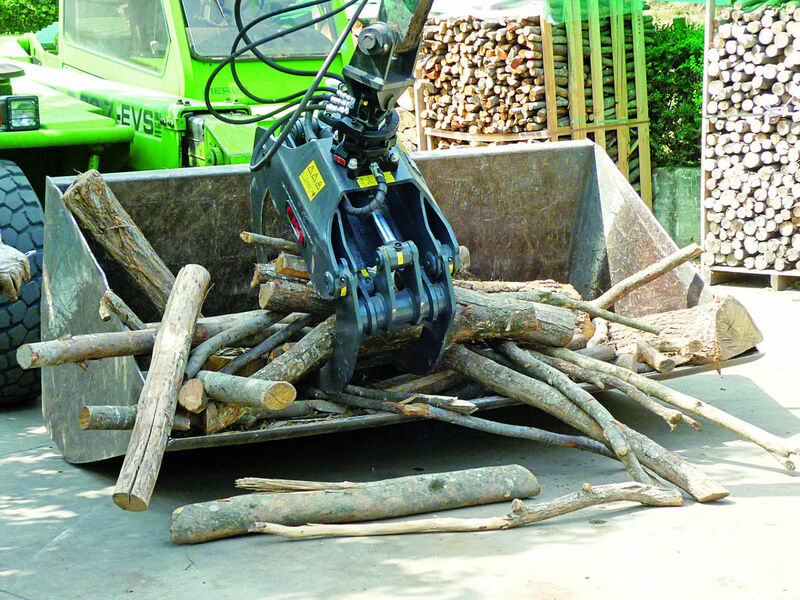 The wood splitter is suitable for the size reduction on the ground of trunk previously cut. It allows to reduce considerable the volume of logs and to speed up the consequent loading, chipping and shredding operation. The attachment is equipped with a hydraulic 360° rotation which limit the movement needs of the operating machine and increase the precision. 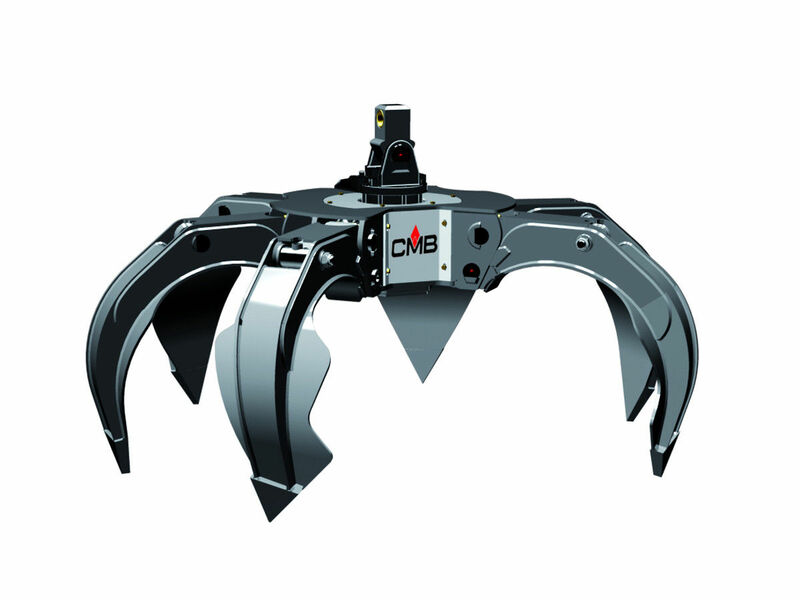 The shape of the jaw and the sliding spheres reduce the blades effort of penetration into the trunk and facilitate the jaws exit during the opening phase. The shear chainsaw, with oscillating chainsaw unit, is specially designed for trees felling or branches removing, in total safety. It is particularly suitable for use on slopes, rivers sides, swamplands, transport routes and railways. 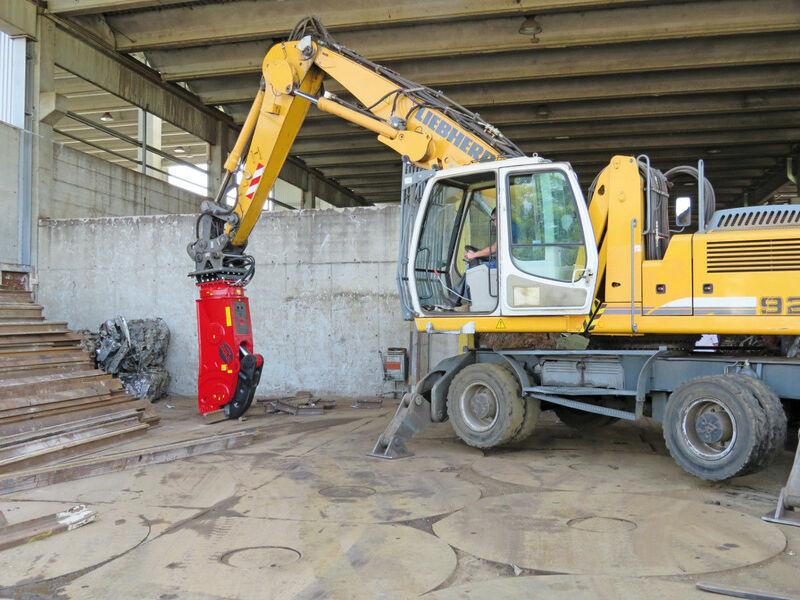 The attachment is equipped with a chainsaw, complete with springs suspension and a tilting device which preserve the chainsaw bar from damage, during the cutting phase (as optional in the "short" version). 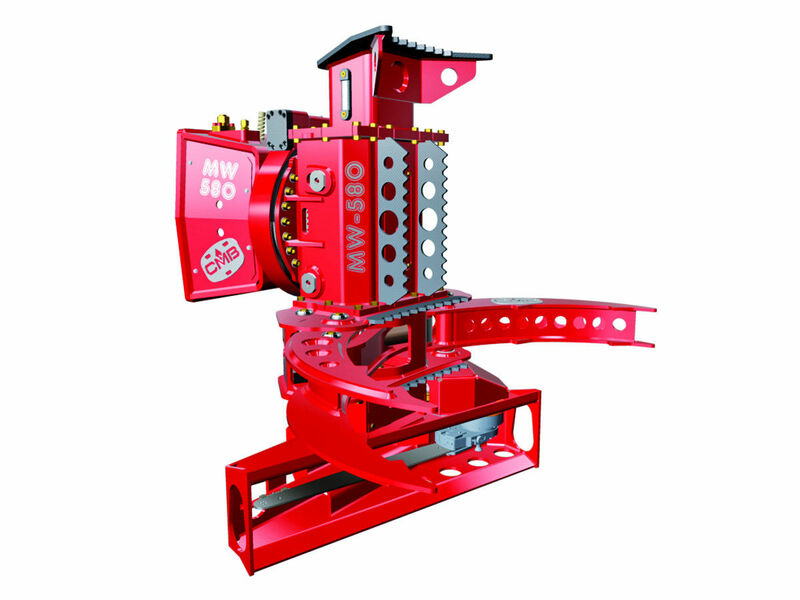 It can be supplied in the "MW580 short" version, equipped with a single gripper, suitable for telescopic handler or excavator; or full optional with double gripper. The shear chain saw allows to cut relevant diameters up to 750mm. and thanks to its speed, ensures high productivity, both in felling and in the reduction of already cut trunks. Product of superior design achieved by careful analysis, the PT series grapple mounted on truck cranes is used for logs and various woody material. 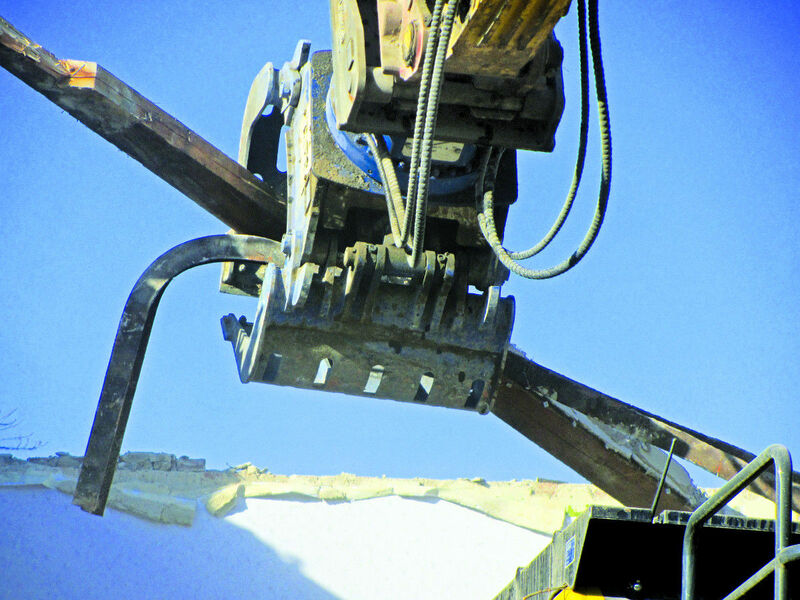 Thanks to the specific shape, and high clamping force and the double connecting rod, the grapple is also used in the most precarious conditions. 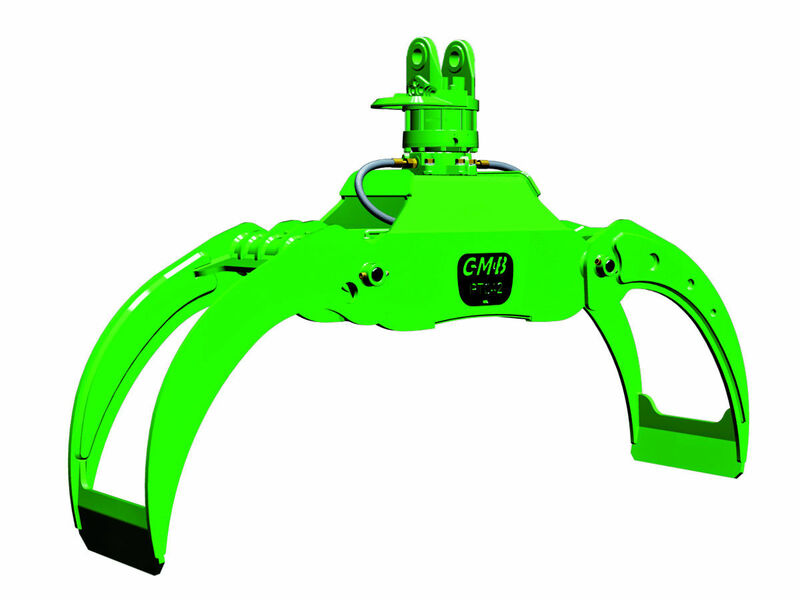 The PT grapple can be supplied with an oscillating hook or equipped with an hydraulic rotation system The PT grapple is made with anti-wear HARDOX materials. Product of superior design achieved by careful market analysis, the grab of PTRF series is used for the handling of railway sleeper. 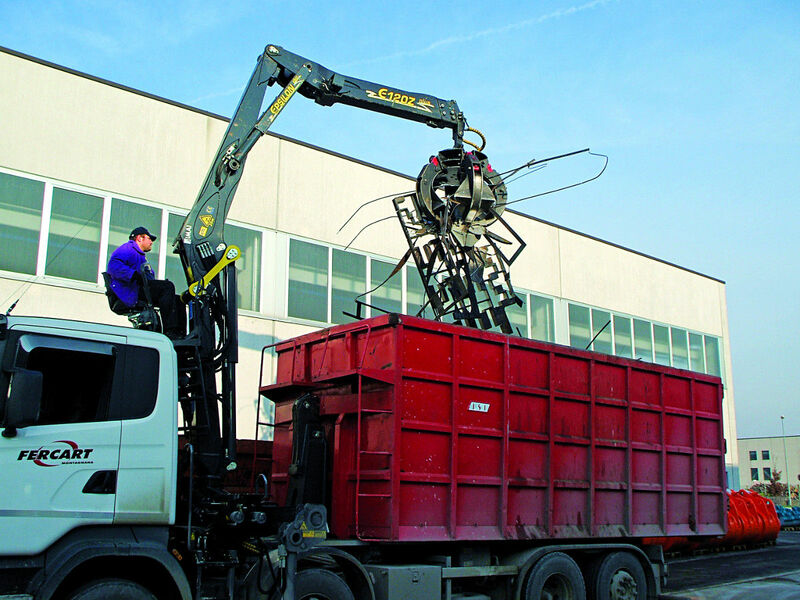 Thanks to its specific shape, the high clamping force and the double connecting rod, is also used in the most precarious conditions. 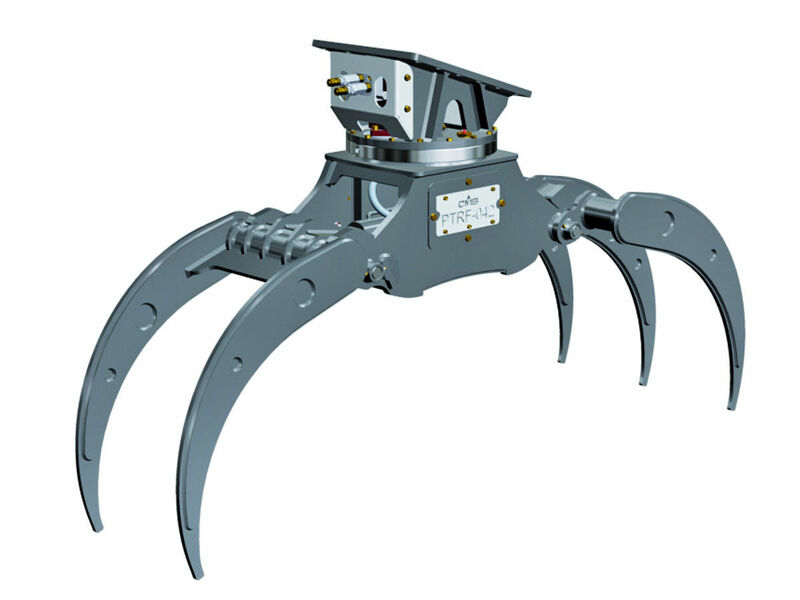 The series STD can be supplied with an oscillating hook or equipped with an hydraulic rotation system. This allows you to collect and place the sleepers to the desired location safely. 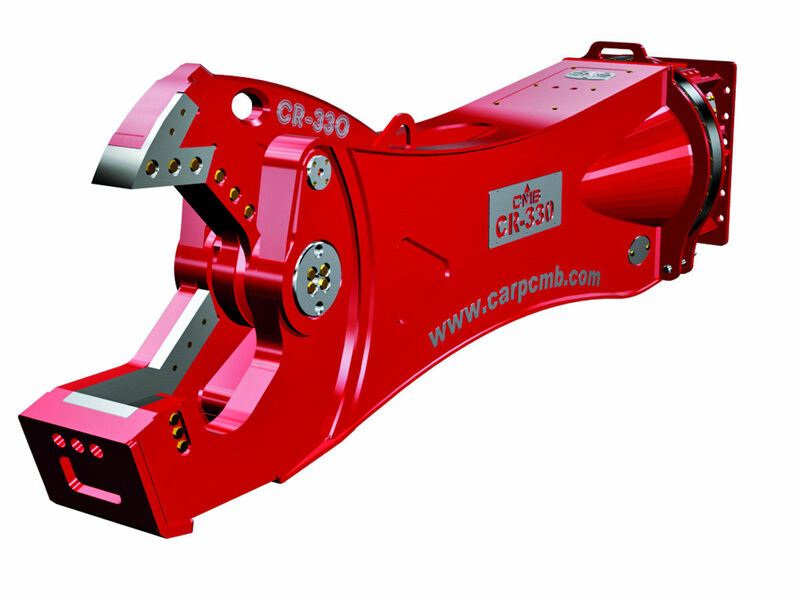 The CRR20 rail cutter is an attachment design for the professionals of scraps ferrous materials, it allows a fast and hard-working cut of European standard train and tramway rails. 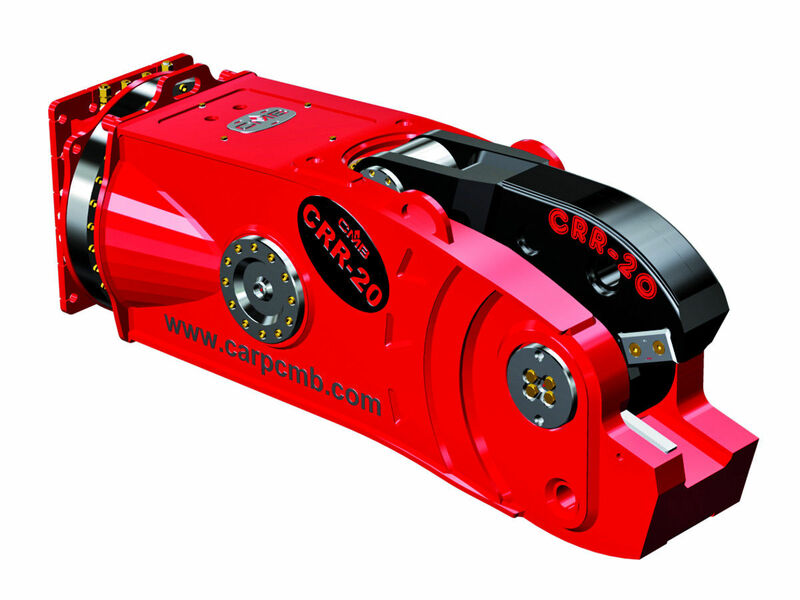 The CRR20, coupled with an excavator, substitute the traditional, expensive oxy-fuel cutting and allows to save time and money. The CRR20 run at 260 bar oil pressure so it can be set also on rail converted operating machine. The attachment is equipped with a hydraulic 360° rotation which limit the movement needs of the operating machine and increase the precision. Moreover the cutting blades are four time reversible and interchangeable. 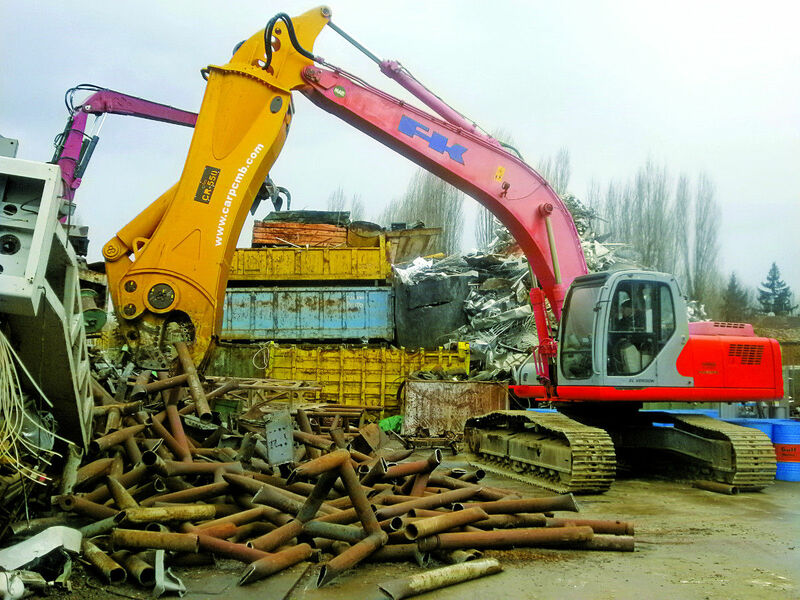 This hydraulic grapple, mainly designed for truck cranes, is suitable for handling and collection of scrap and various materials. Thanks to its extremely compact conformation, the PC grapples possess great agility in loading and unloading operations. 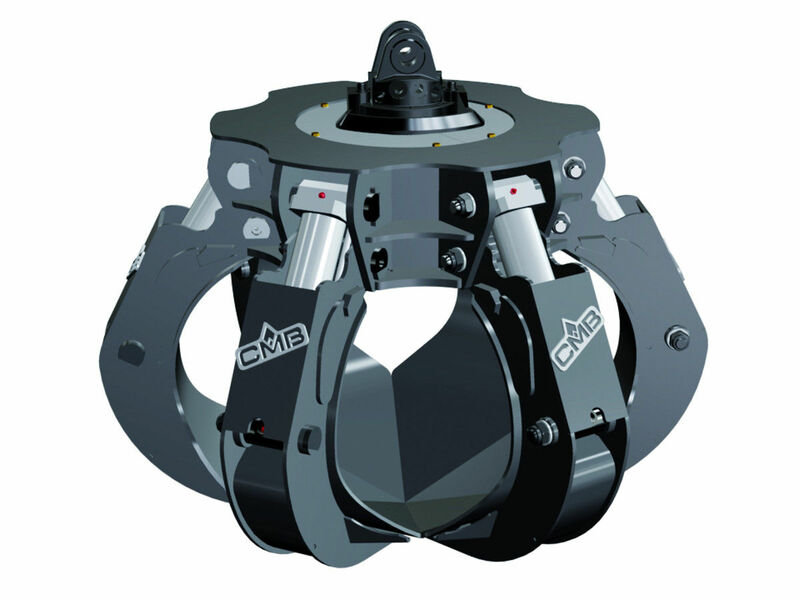 Its dimensions allow you to travel in total safety. 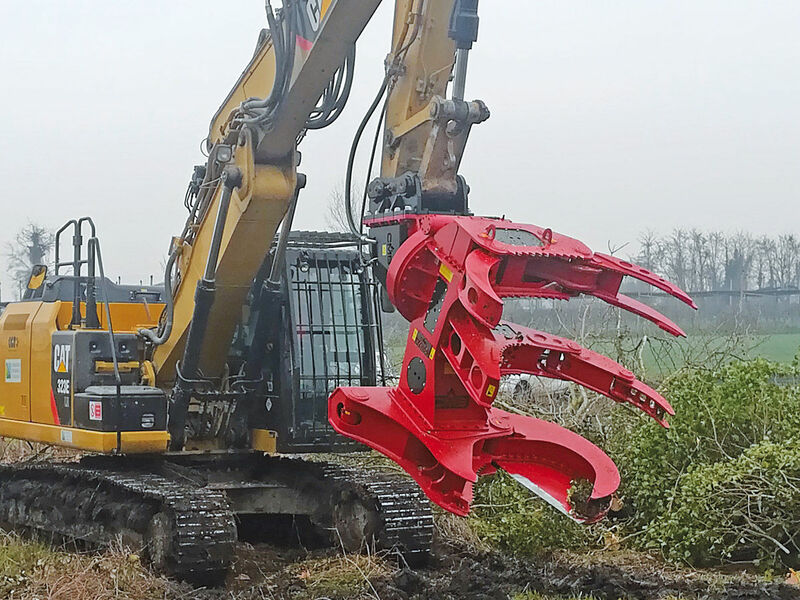 Equipped with fixed hook or with hydraulic rotator, the grapple can also be mounted on mini excavators from 2 to 10 tons. 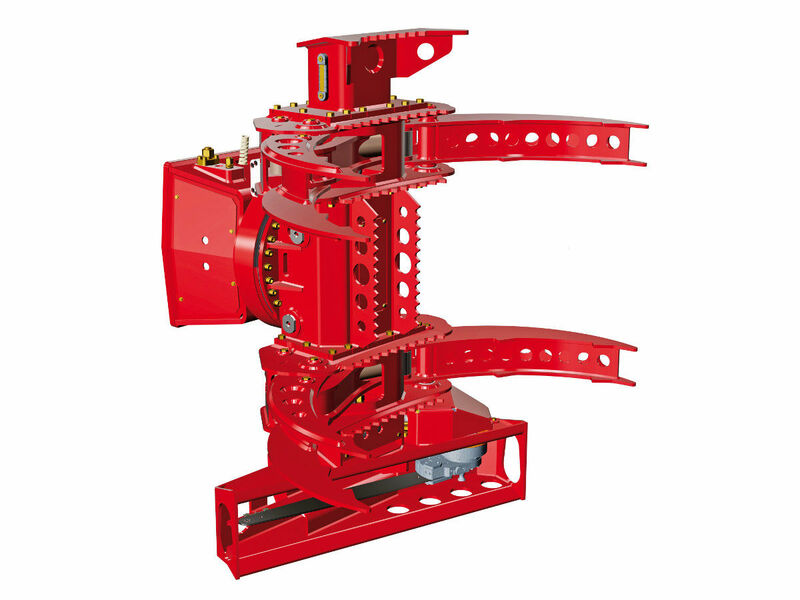 The distribution block, custom designed, is well protected inside the grapple body and allows you to easily work on the oil distribution system. 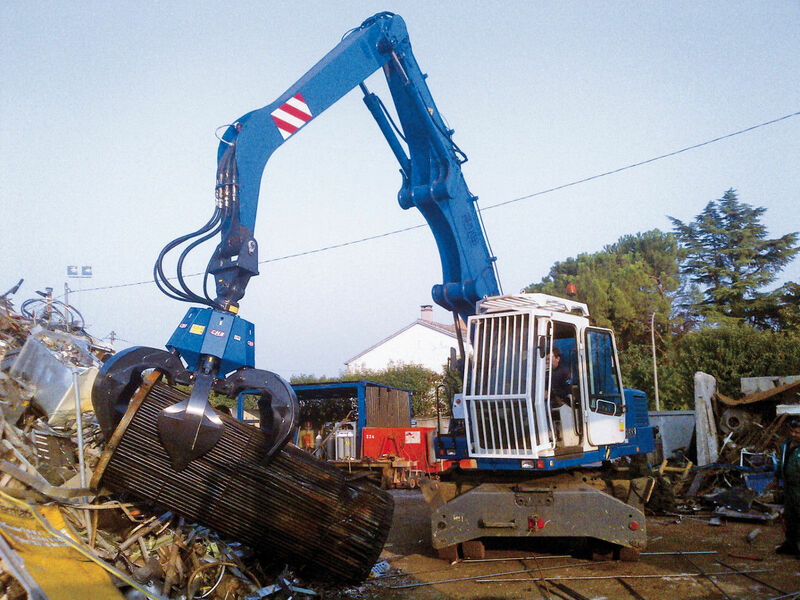 The grapples are made of anti-wear HARDOX materials. 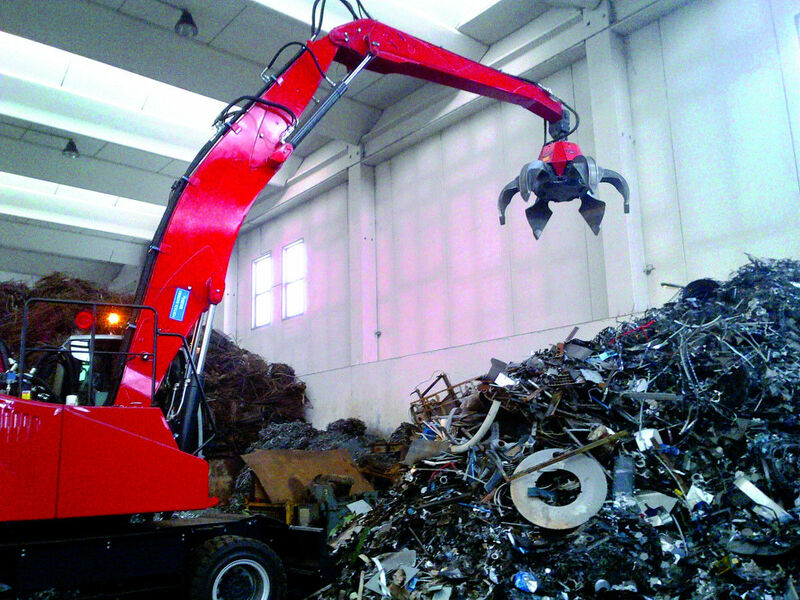 The grapple of PE series is mainly designed for handling and collection of scrap and various materials. Thanks to the specific conformation of the tines, this grapple is suitable for dischargers and excavators. It also stands out for high productivity and versatility. Designed to withstand over time, all the components subject to wear and mechanical seal stress are made with anti-wear HARDOX materials. Enriched with new technical and structural content that improve the form and the function, the PE model is equipped with cylinder brake mounted in a reverse position. Maintenance operations are simplified by the shape of the casing and allow to minimize machine downtime. 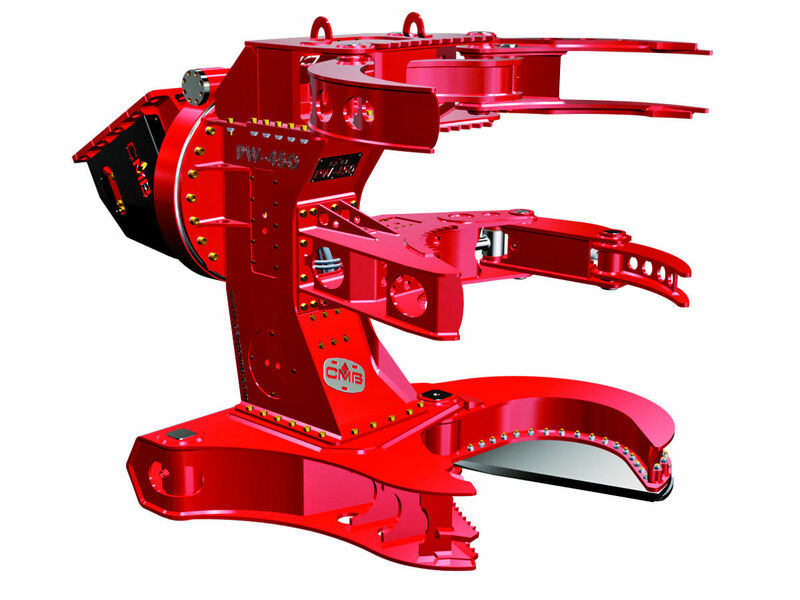 Designed to complement the range of grapples for scrap handling and various materials, this lowered model is used on excavators and loaders to meet the needs of the most demanding customers. The structure is the same as the other models with some special features: better performance thanks to the use of CNC machines to reduce the spaces between the components during the opening and closing of the tines, a better aesthetic form.